Offecct is a Swedish company founded in the town of Tibro in 1990 by Kurt Tingdal (CEO) and Anders Englund (design manager). Together with architects and designers from around the world, they develop furniture with sustainable and functional design for activity based meeting places. Our work is built upon a genuine and local tradition of craftsmanship which Offecct combine with the latest technological advances. 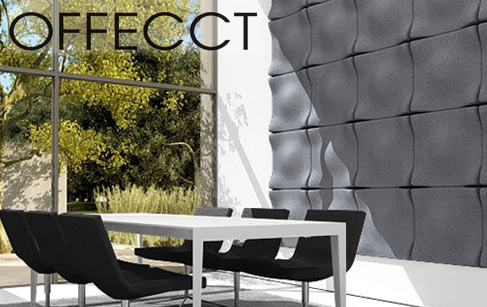 Offecct are internationally recognised for their product development in environmental and recyclable materials, and for creating new typologies within furniture and products which improves air and sound qualities in buildings. Offecct’s collection makes interiors give positive and creative experiences in meetings, between people today and tomorrow.